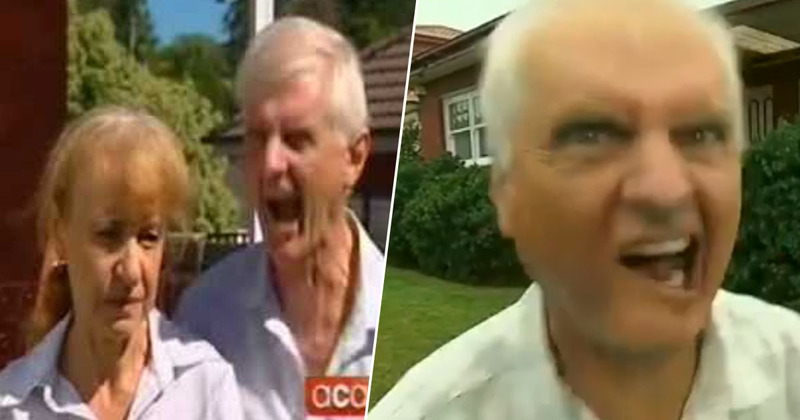 It’s been nearly ten years since an Australian man went viral across the globe after a spectacular rendition of a rabid dog, live on local news. You might not remember the name Ray Graham, but there’s a good chance you’ll remember his bark. Hi unusual talent for impersonating angry pups was first brought to light almost a decade ago, when Ray was interviewed on local news to regale his community with a story about a nasty encounter with a neighbour’s dog on his street in Marsfield, northwest Sydney. Now, Ray has repeated the magic. He went on Channel Nine’s A Current Affair, the same program which his now famous performance first aired, to catch his fans up on what life’s been like since his viral video. Asked what he makes of his new name, Barking Dog Man, Ray said in some ways he’s ‘been defined by it’. He confirmed people do still recognise him in the street and ask him for photos. Presumably, the local dogs avoid him in the event of a stand-off. Oh, yeah, I often get stopped in the shops and places like that. People always want a photo and sometimes they want a video. Sometimes people are a little bit hesitant and say, ‘I know your face from somewhere’, and then sometimes I just bark at them. The TV host echoed a sentiment shared by many when she said her favourite bit of the viral clip was Ray’s wife, Kerry, and her placid reaction to the audio onslaught. He was just so emotional and it just came out. He is a person who’s emotional. The question remains: Is Ray still emotional enough after all the fame and attention to unleash the beast? Asked if he still could pull off a rabid dog impression, Ray gave it a few seconds of thought, adding he likes to think he’s still got it. Seconds later, there he was, recounting with passionate abandon the dog and unleashing his inner rabid spirit animal on camera. It was something I’ve never done before – it was casual, informal, off the bat. It was good, wasn’t it? I just love the way it was done. Don’t we all, Ray? A very good impression.